What does yoga have to do with your hormones? Plenty! In the Yoga for Healthy Hormones workshop, we will explore using yoga to support women’s health, by choosing poses and practices that help to regulate and balance the endocrine system. The endocrine system is the system of hormone-producing glands that control many of our bodily functions, as well as impacting our moods. 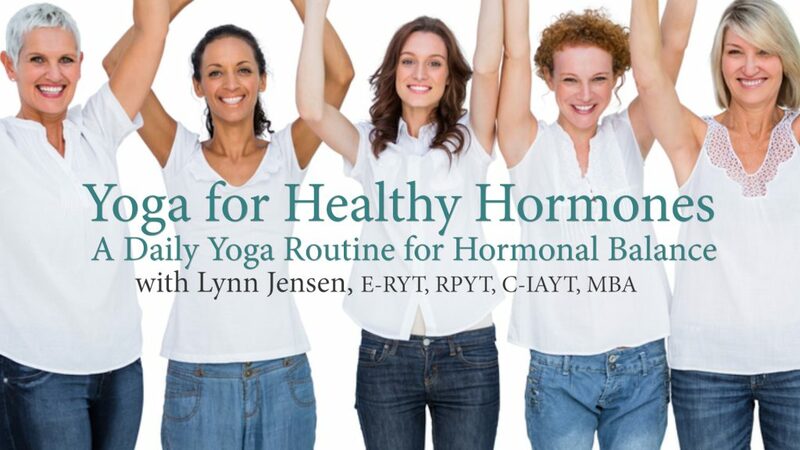 This workshop includes a discussion about how hormones impact your health, and yoga’s role in helping to regulate hormones, followed by a hormone-balancing yoga practice. Come away with information and practices you can use daily to support healthy hormones, and enhance your physical, mental, and emotional health. This workshop is open to women of all ages who are interested in using yoga to help maintain a healthy hormonal balance. Open to all levels of yoga practitioners, including beginners. Pre-registration is required. Private Yoga for Healthy Hormones sessions are available by appointment. Click here for more information OR email Lynn@yogaforfertility.net or call 206-729-0606 to schedule.